Welcome to the science revision page. 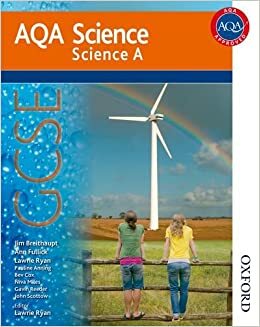 We will post useful websites, Youtube clips, worksheets, suggested books, worked examples of difficult questions and past exam papers for you to practice at home. 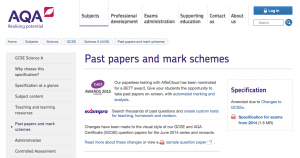 Click the links below to download past examination papers. Give yourself an hour to complete each paper (one for biology, physics and chemistry) and mark your answers with the mark scheme provided. Most exam questions start with a command word such as ‘suggest, compare, evaluate, calculate etc’ but what do these words actually mean? What do you have to do to get full marks? Read through the following document that gives examples of how to approach each types of questions with command words. The link below has some excellent video clips explaining various parts of the science course. We highly recommend spending some time watching these! Print these off and use to self assess your learning against the criteria outlined on the checklist. If you find something on the list that you don’t understand or recognise, this is something to spend extra time revising. If you’re still confused use your google docs link for further advice. The link below allows you to download the entire chemistry topic condensed down onto 3 large posters. They are great, but not on their own, exams will require extra detail so use as a revision aid rather than the only thing you use! Click below to download revision flashcards for each topic in chemistry.